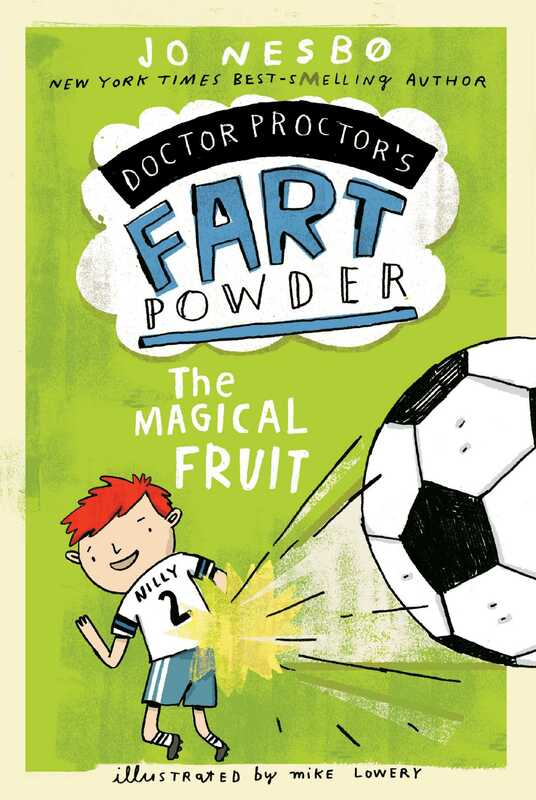 Doctor Proctor, Nilly, and Lisa take a sporty approach to saving the day in this fart-tastically funny adventure from New York Times bestselling author Jo Nesbø. When a Russian billionaire robs the Norwegian Gold Reserve and melts the last remaining gold bar into the Premier Soccer League trophy, it’s up to Doctor Proctor, Nilly, and Lisa to recapture the precious prize. But after a failed break-in attempt at the billionaire’s subterranean gold-melting lab, and with the Norwegian Gold Reserve Inspection in just three days, the only way to retrieve the trophy is to win it back. Hoping to prevent national panic and uproar, Nilly and Lisa join the Rotten Ham soccer team to try and lead the hopeless underdogs to victory before time runs out. And with the use of Fartonaut Powder, along with a handful of Doctor Proctor’s other wacky inventions, they just might have a chance!